Valentine's Day is not just for lovers but to show all your friends and family you care about them. What could be more sweet than a few loving words on paper to express all that we are feeling in our hearts. 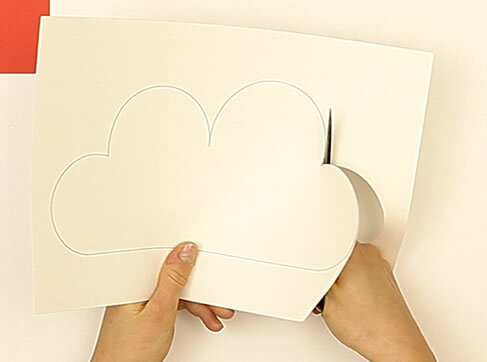 Create a 3D pop up heart card to personalize for your favorite Valentine. 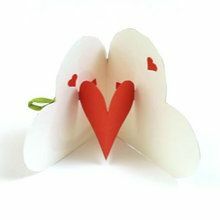 Cut out the pattern # 1 : Fold heart design in half to form the Valentine card. Cut out the pattern 2: the two small hearts, hearts with arms, outer heart and inner heart. Open the folded heart card. Glue the two small hearts inside of the card. One on each side of the heart inside. Fold in the large cut out heart with tabs in half and fold the tabs inward. 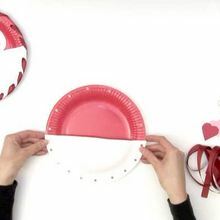 Glue the tabs and align the middle of the hearts, creating the 3D effect for the Valentine's Day Card. Cut a Heart to create two pieces: an inner heart and outer heart. 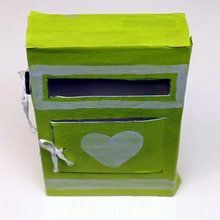 Use a hole punch to make a hole at the top of each of the hearts. With a white paint marker decorate and customize your inner heart cut out with dots or a name. Cut a piece of raffia. Feed the raffia through the hole of the circle of the outer heart. Assemble the inner heart cut out with the design by feeding the opposite end of the rafia through the circle, finishing with a pretty bow . Here's a unique Valentine's Card, allowing you to easily share your heart with your special Valentine.